P-Traps: P-trap with washer joint and clean out. 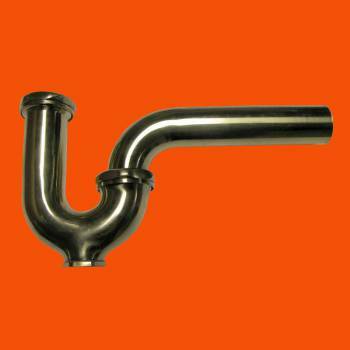 This has a 1 1/4 inch diameter and fits all ofRenovator's Supply's lavatory sinks and faucets. This projects 9 3/4 inch.